In the late stages of the race, Johnny Scott (1st), Rodney Sanders (20), Stormy Scott (2s) and Darron Fuqua (87) battled for th lead. Nobody brings the excitement to America’s dirt ovals like the United States Modified Touring Series, and no dirt track in America provides a better environment for drivers to shine than the Lucas Oil Speedway in Wheatland, Mo. The two came together Saturday night for the 9th Annual Slick Mist Show-Me Shootout presented by Foley Equipment and what the combination delivered was an epic 40-lap main event that few, if any, watching from the grandstands will ever forget. And for Stormy Scott, who fended off his twin brother Johnny Scott for the $3,000 win, it was a lot of patience and a little bit of luck that allowed him to forget the 2015 event here at the ‘Diamond of Dirt Tracks’ where Johnny outmuscled Stormy in a wild main event. But for his 49th career USMTS win, Stormy Scott needed an ounce of luck and race not one lap longer. Drawing the outside of the front row for the start of the Casey’s General Stores “A” Main, Fuqua, of Mayetta, Kan., jumped out front at the waving of the green flag and proceeded to build a sizeable lead over the other 25 starters. A brief caution on the fourth lap didn’t slow Fuqua’s pace as he pulled away from his pursuers once again after the restart. Lapped traffic came into play around the mid-point of the race but Fuqua maintained a six- to ten-car-length advantage over Sanders, Stormy Scott, Jake O’Neil and Terry Phillips as they fought for positions inside the top 5. Johnny Scott cracked the top 5 a few laps later when O’Neil’s spin with 13 laps to go brought out the second and final yellow flag of the race and wiping out Fuqua’s cushion. When the green flag returned, Fuqua headed back to the high side of the 3/8-mile clay oval while Sanders took a peek underneath with the Scott brothers trailing in third and fourth. When they came to the start-finish line Fuqua and Sanders were side by side with Fuqua getting the nod on the transponders. Sanders and Fuqua raced that way for one more lap before Stormy Scott stuck his nose in between the two and made it three wide as they completed lap 29. As if they were testing the width of the front straight-away, lap 31 saw all four race beneath the flagstand in a virtual four-wide dead heat, but Fuqua continued to hold the lead by a bumper while the Scotts knocked Sanders back two spots. Fuqua held tough for the next three laps, but Stormy Scott got the dig he needed and pulled ahead of Fuqua at the flagstand to lead the 35th lap. Johnny Scott followed into second one lap later while Fuqua stayed within striking distance. Seeing his brother pull even with him on a couple of occasions didn’t’ deter Stormy Scott from holding his ground and beating his brother to the checkered flag with a car length to spare, but no rubber to spare on his right rear tire. With a flat right rear tire, Stormy Scott limped to the track’s tech barn and back out onto the speedway to claim his giant plastic winner’s check in front of an approving crowd while Johnny Scott and Fuqua parked nearby, settling for second- and third-place paychecks. For Johnny Scott, it was an improvement from Friday night’s finish outside of the top 10, but losing to his twin brother didn’t take the sting out of failing to get the victory. The result left Johnny Scott still in command of the national points chase with Stormy Scott edging in front of Sanders for second in the standings. VanderBeek is fourth and O’Neil holds down the fifth spot. While Johnny Scott’s advantage stands at 149 markers, just 60 points separate the rest of the top five. The road to the $50,000 USMTS national championship heads north next weekend for a three-night swing, Aug. 10-12. On Friday, the series invades the I-94 Speedway in Fergus Falls, Minn., and Saturday will find the USMTS at the Ogilvie Raceway before crossing the border into Iowa on Sunday en route to the Mason City Motor Speedway. 2. (3) 53r Ronnie Woods, Mexico, Mo. 5. (5) 44t Ethan Dotson, Bakersfield, Calif.
6. (4) 292 Kyle Thompson (R), Joplin, Mo. 7. (8) 00 Jesse Stovall, Billings, Mo. 8. (1) 8 Jeremy Vaughn, Pocola, Okla.
9. (9) 30 Matt Leer, Bruce, Wis.
2. (2) 88 Chad Wheeler, Muskogee, Okla.
3. (9) 0 Jake O'Neil (R), Tucson, Ariz.
6. (6) 98 Jeff Cutshaw, Bolivar, Mo. 7. (3) 1m Curt Myers, Cameron, Wis.
9. (5) 4w Tyler Wolff, Fayetteville, Ark. 3. (1) 16 Austin Siebert, Grandview, Mo. 4. (5) 21 Austin Bonner, Elk City, Okla.
5. (3) 5d Devon Havlik, Iowa Falls, Iowa. 6. (7) 8s Jon Sheets, Nevada, Mo. 7. (8) 40 Brian Green, Pierce City, Mo. 8. (6) 05 Milt David, Carrier, Okla.
2. (8) 75 Terry Phillips, Springfield, Mo. 4. (6) 5k Kyle Prauner (R), Norfolk, Neb. 6. (1) 11n Gene Nicholas, Lowell, Ark. 7. (2) 38c Jason Pursley, Hermitage, Mo. 8. (4) 9 Jerad Fuller, Memphis, Mo. 2. (2) 21t Lance Town, Wellsville, Kan.
3. (4) 19r Ryan Gustin, Marshalltown, Iowa. 4. (7) 12 Jason Hughes, Watts, Okla.
5. (5) 227 Chase Domer, Nevada, Mo. 6. (6) 19sb Lance Mari (R), Imperial, Calif.
7. (3) 21m Dalton McKinney, Clarksville, Mo. 8. (8) 33 Danny Martin, Republic, Mo. 1. (5) 96t R.C. Whitwell, Tucson, Ariz.
3. (2) 3366 Ryan Gillmore, Springfield, Mo. 4. (3) 16 Austin Siebert, Grandview, Mo. 5. (6) 44t Ethan Dotson (R), Bakersfield, Calif.
6. (4) 21 Austin Bonner, Elk City, Okla., MBCustoms/ChevPerf, $90. 7. (10) 00 Jesse Stovall, Billings, Mo., MBCustoms/Yeoman, $75. 8. (15) 30 Matt Leer, Bruce, Wis., MBCustoms/Stone, $90. 9. (11) 1m Curt Myers, Cameron, Wis., Hughes/Sput’s, $90. 10. (9) 11n Gene Nicholas, Lowell, Ark., Hughes/Kelly, $90. 11. (8) 292 Kyle Thompson (R), Joplin, Mo. 12. (13) 8c Chris Clark, Jackson, Wyo., GRT/ChevPerf, $200. 13. (12) 21m Dalton McKinney, Clarksville, Mo., Rage/ChevPerf, $75. 14. (14) 9 Jerad Fuller, Memphis, Mo., GRT/Mullins, $75. 15. (7) 227 Chase Domer, Nevada, Mo., GRT/Schultz, $75. 3. (15) 4w Tyler Wolff, Fayetteville, Ark. 4. (5) 23 Adam Kates, Tonganoxie, Kan.
5. (8) 98 Jeff Cutshaw, Bolivar, Mo. 7. (4) 07 Cory Crapser, Chippewa Falls, Wis., MBCustoms/Troy’s, $90. 8. (3) 5k Kyle Prauner (R), Norfolk, Neb. 9. (12) 8 Jeremy Vaughn, Pocola, Okla., Hughes/BMS, $90. 10. (9) 19sb Lance Mari (R), Imperial, Calif.
11. (14) 33 Danny Martin, Republic, Mo., Hoffman/ChevPerf, $75. 12. (10) 40 Brian Green, Pierce City, Mo., MBR/ChevPerf, $75. 13. (6) 5d Devon Havlik, Iowa Falls, Iowa, GRT/Jono’s, $75. 14. (13) 05 Milt David, Carrier, Okla., Phoenix/Dunsworth, $75. 15. (11) 38c Jason Pursley, Hermitage, Mo., GRT/Midstate, $75. 1. (3) 2s Stormy Scott, Las Cruces, N.M., VanderBuilt/Mullins, 40, $3475. 2. (8) 1st Johnny Scott, Cameron, Mo., VanderBuilt/Hill, 40, $2150. 3. (2) 87 Darron Fuqua, Mayetta, Kan., MBCustoms/Driskell, 40, $1200. 4. (6) 20 Rodney Sanders, Happy, Texas, MBCustoms/Hatfield, 40, $1425. 5. (11) 69 Lucas Schott, Chatfield, Minn., MBCustoms/Hill, 40, $1220. 6. (13) 96t R.C. Whitwell, Tucson, Ariz., Victory/ChevPerf, 40, $700. 7. (4) 33z Zack VanderBeek, New Sharon, Iowa, VanderBuilt/Stoen, 40, $1015. 8. (7) 75 Terry Phillips, Springfield, Mo., GRT/Durham, 40, $910. 9. (14) 12 Jason Hughes, Watts, Okla., Hughes/Mullins, 40, $450. 10. (16) 19r Ryan Gustin, Marshalltown, Iowa, Hughes/TriStar, 40, $400. 11. (10) 88 Chad Wheeler, Muskogee, Okla., VanderBuilt/Durham, 40, $375. 12. (20) 23 Adam Kates, Tonganoxie, Kan., LG2/Speedway, 40, $755. 13. (22) 98 Jeff Cutshaw, Bolivar, Mo., MBCustoms/SCP, 40, $275. 14. (18) 4w Tyler Wolff, Fayetteville, Ark., MBCustoms/Hatfield, 40, $300. 15. (15) 4r Dereck Ramirez, Woodward, Okla., Hughes/Cornett, 40, $700. 16. (12) 21t Lance Town, Wellsville, Kan., MBCustoms/Driskell, 40, $300. 17. (9) 91 Joe Duvall, Claremore, Okla., MBCustoms/ChevPerf, 40, $600. 18. (17) 3366 Ryan Gillmore, Springfield, Mo., Hoffman/ChevPerf, 40, $300. 19. (5) 53r Ronnie Woods, Mexico, Mo., GRT/Creason, 40, $250. 20. (1) 0 Jake O'Neil (R), Tucson, Ariz., LG2/ChevPerf, 27, $695. 21. (21) 44t Ethan Dotson (R), Bakersfield, Calif., MBCustoms/ChevPerf, 23, $300. 22. (23) 19sb Lance Mari (R), Imperial, Calif., MRT/Yeoman, 22, $300. 23. (26) 292 Kyle Thompson (R), Joplin, Mo., Shaw/ChevPerf, 19, $300. 24. (19) 16 Austin Siebert, Grandview, Mo., MBCustoms/Durham, 14, $300. 25. (25) 8s Jon Sheets, Nevada, Mo., MBCustoms/Hatfield, 10, $250. 26. (24) 5k Kyle Prauner (R), Norfolk, Neb., Razor/ChevPerf, 7, $300. Lap Leaders: Fuqua 1-34, S. Scott 35-40. Total Laps Led: Fuqua 34, S. Scott 6. Margin of Victory: 0.574 second. Time of Race: 18 minutes, 1.035 seconds (2 cautions). Provisional Starters: Mari, Prauner, Sheets (track), Thompson (track). Eibach Spring Forward Award: Whitwell (advanced 13 positions). FK Rod Ends Hard Charger: Cutshaw (started 22nd, finished 13th). 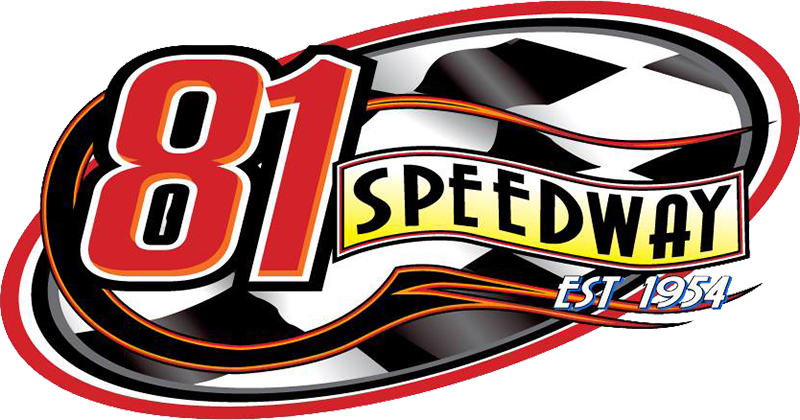 Next Race: Friday, Aug. 10, I-94 Speedway, Fergus Falls, Minn.
USMTS Hunt for the Casey’s Cup Points: J. Scott 2300, S. Scott 2151, Sanders 2148, VanderBeek 2095, O'Neil 2091, Schott 2024, Ramirez 2010, Phillips 1993, Kates 1443, Duvall 1422. Grant Junghans USMTS Rookie of the Year Points: O'Neil 1985, Mari 926, Carlos Ahumada Jr. 760, Zane Ferrell 692, Billy Vogel 610. USMTS Engine Builder of the Year Points: Durham 230, Mullins 188, Sput’s 181, Cornett 177, Hatfield 173. USMTS Manufacturers Championship Points: VanderBuilt 267, MBCustoms 254, Hughes 189, GRT 187, LG2 176. Casey’s General Stores – Duvall. E3 Spark Plugs – Fuqua. FK Rod Ends – Cutshaw. Forty9 Designs – Wolff, Woods. GRT Race Cars – Woods. Mesilla Valley Transportation – . Out-Pace Racing Products – Town. Simpson Performance Products – Fuqua. Swift Springs – S. Scott, Sheets.